The Rainer Residence, nestling the meadows and woods of the valley of Ridnauntal, is the new holiday destination for families and enthusiasts of open-air activities. Alongside the main Rainer Residence building, with its 12 vacation apartments, there's the “Landhaus Unterstein” with another 10 of these modern and comfortable holiday flats. 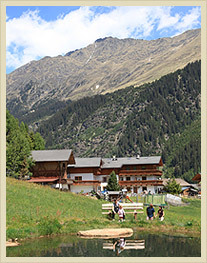 Our family-managed holiday residence, in its impressive mountain setting, is an ideal destination for both summer and winter. 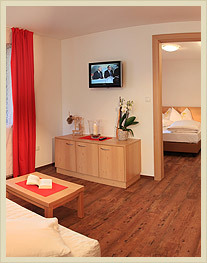 Enjoy South Tyrolean flair in highly agreeable surroundings. 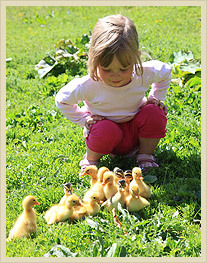 We love children and the kids will love our cute animals and the funny activities in the nature! 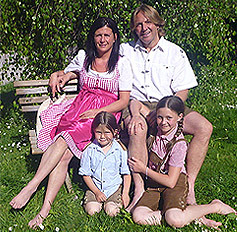 Welcome in the Guesthouse Rainer!